I am currently the service manager and matron for Brookside Adolescent Unit, part of North East London NHS Foundation Trust. The service comprises a 15-bed general acute inpatient unit, a young people’s home treatment team offering hospital treatment at home and Interact, our crisis service. 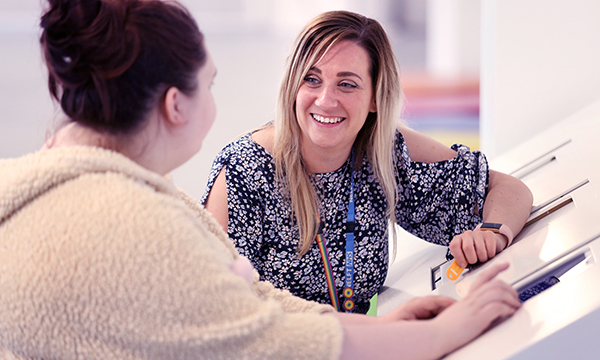 My role is to give assurance of the effective clinical and operational running of Brookside and to ensure we deliver safe and effective, evidence-based care to young people with mental health difficulties. I manage a team of about 70 staff over the three services and oversee all aspects of clinical governance, finance and performance. I have always wanted to work in a hospital setting since I was young. I don’t think I chose nursing; it chose me. I have always felt that making a difference to someone who needs help at a vulnerable time is enormously rewarding. Everything. I work alongside a fantastic team who make my job a lot easier due to the support and teamwork they provide. I am proud of Brookside and its achievements. The unit offers young people the hope and belief that they can recover and go on to live fulfilling lives despite illness. What is the greatest challenge and how have you overcome it? Reforming Brookside from an inadequate to an outstanding service in 18 months was the biggest career challenge. I was new in a management role and had to quickly learn how to become a leader. This was made easier with teamwork, a shared vision and ensuring I spent quality time outside of work with my friends and family to de-stress and unwind. I am ambitious and continually looking at ways to achieve better outcomes and improve the experience of child and adolescent mental health inpatient services. Anything is possible; and the young people at Brookside, my staff and my family motivate me to strive for success. My free time is important to my own well-being. I have a range of hobbies including the gym, reading and watching films. I love music and attend a lot of concerts and live performances. Brookside winning the 2018 RCNi Mental Health Practice Award. I still grin ear to ear at the memories of winning the award and wish I could do it all again. It has put Brookside in the limelight and opened up many opportunities for us in such a wide range of forums. For example, we have been contacted by NHS trusts seeking support with their child and adolescent mental health inpatient services. I have been working alongside NHS Improvement and NHS England to look at what such services offer nationally and we have also appeared on the national and local news. Compassion and being able to reflect. Sometimes it is difficult to understand others’ behaviours, emotions and distress. But, by listening and reflecting on situations, trying to be empathic and just being there, you can make such a difference. Caring is so simple, yet so powerful. What is likely to affect nurses working with people with mental health needs over the next 12 months? The demands on mental health services are only going to increase and nurses will need to think about more effective and efficient ways to provide mental healthcare services. There will be an emphasis on providing earlier interventions and more proactive service strategies focusing on proactive mental healthcare. What advice would you like to pass on to students and junior staff? Believe in yourself. Always be curious, ask questions and speak up when you feel you need to. Remember to look after and take care of yourself as well as those you look after. Be proud to be a nurse and use your team to support, guide and mentor you. You will never stop growing and learning professionally and personally, so be prepared to go on an amazing journey.